I will be honest; I had little desire to see this movie as I am not a drooling fan of Robert Pattinson. However, I read the book a few years ago and absolutely loved it and I do enjoy the circus venue so I gave it a try and I am so happy that I did! 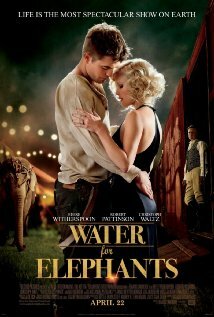 I was very impressed by Reese Witherspoon and I actually found myself enjoying Pattinson’s portrayal of Jacob as well. 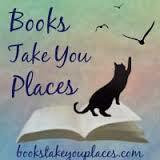 Overall I believed it to be a great on screen portrayal of a very enjoyable book. Being a fan of the Sookie Stackhouse series I was very excited to hear when HBO picked up the rights for the show. The series didn’t disappoint me until this season, I didn’t like the way in which Bill was made king and I found Eric’s character to be much more loveable in the books. Despite my misgivings the show totally redeemed itself in the season finale. **spoiler alert** First of all I shed serious tears over the loss of Jesus and I found myself “OH MY GODing” when Steve Newlin appeared AS A FREAKIN’ VAMPIRE and Alcide finds a hole in the cement insinuating that RUSSELL IS BACK BAYBEE!! 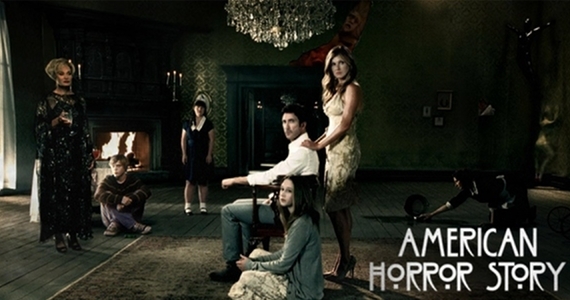 I am so extremely excited for next season, though I hope Sookie and Bill are a little less annoying. Who doesn’t love the Muppets and their crazy ways? This movie was hilarious, though I think it spoke more to me than the 5 year olds in the audience. 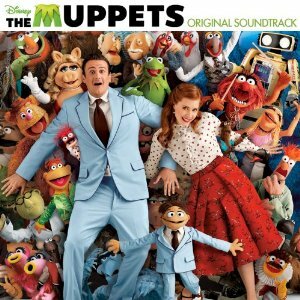 Jason Segal and Amy Adams were amazing next to the classic Muppet characters and there were quite a few awesome cameos throughout the film. Though Muppet Treasure Island is still my favorite Muppet movie (Tim Curry as Long John Silver, looove!) this movie is a close second. Mahna Mahna! Love, love, love to Zooey Deschanel and her quirky self! This show literally makes me LOL and I find myself relating to Deschanel’s character in some way in almost every episode. I adore her roommates and can’t help but long for her to fall in love with Nick though I know it would ruin many aspects of the already amazing show! I was wary to see how Mia Wasikowska portrayed Jane Eyre on the big screen since I didn’t really love her in Alice in Wonderland but she pulled off the haunting character beautifully. I was also very impressed by Michael Fassbender, though I may be a bit biased because he is delish and I tend to fall for those dark, brooding characters more often than not. Overall this was a wonderful portrayal of the novel and I was extremely impressed. 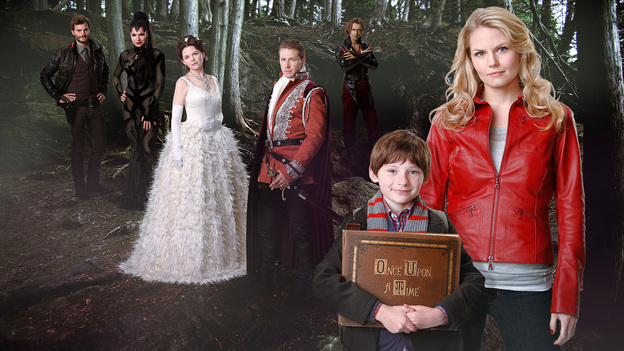 The characters in Once Upon a Time are stuck in the “real world” due to a curse put on them by the evil queen, portrayed flawlessly by Lana Parrilla. The show may have started off on a somewhat lame foot but the producers knew what they were doing and they ended the fall season on an “OH EM GEE” note that really plucked the heartstrings. I am very excited for the second part of the season to start (this Sunday!!) and I definitely recommend it to anyone loving a good fairy tale with a twist. I am a long time Zelda fan and have been since I was just a little tyke pressing random buttons on my dad’s Super Nintendo controller so it is no question that I was eagerly anticipating this new release in the Zelda franchise. I was wary when I saw the preview, afraid that the graphics were too animated and cartoon-like but thankfully I was wrong and Nintendo delivered another nearly flawless chapter in the Zelda series. Though I am only in the second temple and have not put in a lot of hours yet, the game is pretty awesome. 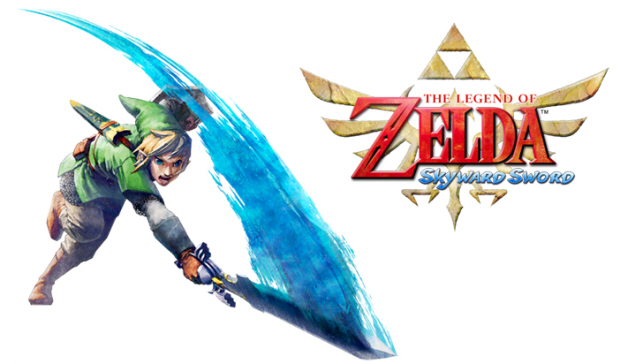 The game is designed so your enemies can learn your swordplay and use them against you so the fights are more complicated than simply running into an enemy and swinging your Wii remote frantically, this makes for a more intense and more enjoyable game play. 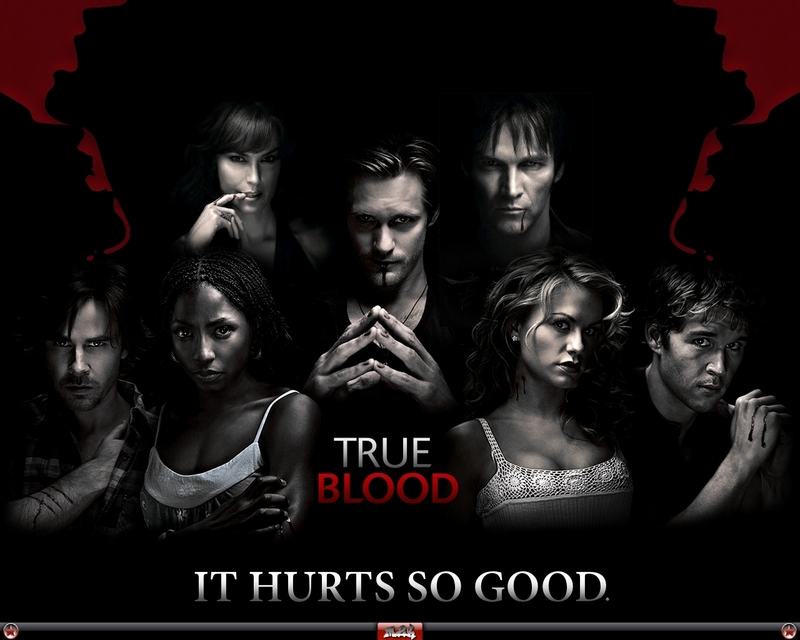 I first saw the trailer for this show as I was watching True Blood on HBO. A rider on a white horse flies through the woods at top speed and the words “Winter is coming” come over the screen with ominous music playing in the background. I was immediately enthralled, “Winter is coming? WHAT DOES IT MEAN?! ?” I started searching for the phrase via Google and found links to all kinds of juicy tidbits, along with the information that I had MONTHS to wait for the release of the new show. Well, after months of waiting HBO delivered and like so many times before they did not fail me! Every episode left you hanging and needing more and the finale was full of jaw droppers. I can’t wait for next season! How can this movie NOT make my favorite list? 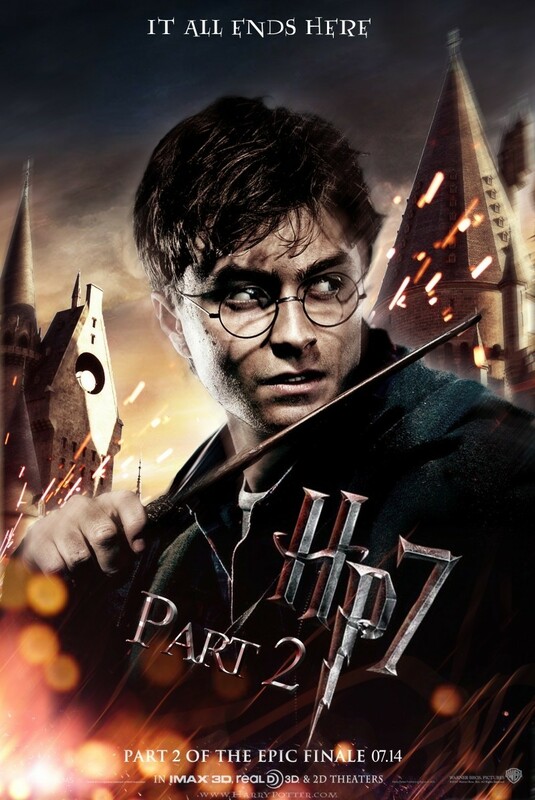 As I did for each film in the franchise, I nit picked my way through each scene and obsessed over the parts that were even slightly changed but I have to admit that even with the slight adjustments, the movie was ahhhhmazinggg and I was very impressed. Like so many fans, I cried when it was over. Not just because the movie was sad but because these books and movies were such a HUGE part of my life as I grew up, and now they were over! I definitely bought the blu-ray the day it was released and had a Harry Potter marathon as I finished up my last finals of graduate school ever. Ahh memories! 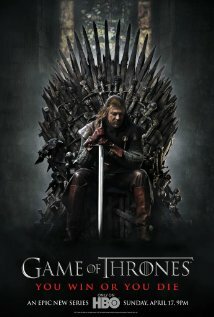 This is probably my favorite show of all time; it’s so unbelievably awesome that I can barely describe its awesomeness. From the first few minutes of the first episode it had me going through a rollercoaster of emotion. It was beyond freaky and confusing yet at the same time was 100% intriguing and every episode had me trying to decipher what the eff was going on in that house! As the show progressed it brought new characters, like The Black Dahlia (!!) and answered questions as it created even more confusion. I looooved the characters, Jessica Lange deserves a plethora of awards for her portrayal of Constance. I seriously had a crush on Tate though he is quite messed up. I like to think of him as layered, though he has mostly been described as evil. Eh, po-tay-toe, po-tah-toe…The producers said that each season will be completely different, possibly even taking place in a different setting, so I am very excited to see what comes up next. If you like scary movies and especially if you are often disappointed at how they are lacking, then this is a show for you! This entry was posted in Media, Miscellaneous. Bookmark the permalink. ← My Favorite Books of 2011! I really want to see Jane Eyre and The Muppets! I was also pleasantly surprised by New Girl. I love Zooey, but thought that the show looked terrible, but it's pretty good and totally funny!